He was Sam Clemens, steamboat pilot, before he was Mark Twain, famous author. His better-known name originated with the lingo of navigation, and much of his writing was informed by his shipboard adventures on one of the world's great rivers. 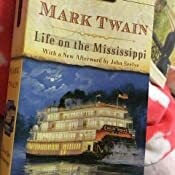 In this classic of American literature, Twain offers lively recollections ranging from his salad days as a novice pilot to views from the passenger deck in the twilight of the river culture’s heyday. 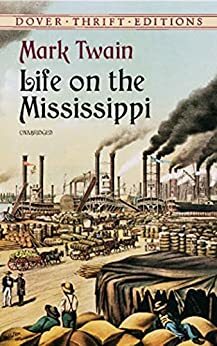 Under the tutelage of the most celebrated pilot on the Mississippi, young Twain acquires the skills to navigate a constantly changing riverscape, avoiding potential collisions with other boats and traversing winding channels in the dead of night. 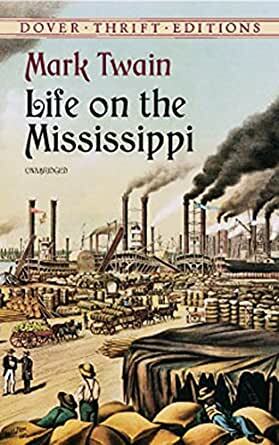 The vivid and ever-engaging narrative encompasses tales of riverside town feuds, the professional vicissitudes of a riverboat gambler, dramatic accounts of life in Vicksburg as the city lay under siege during the Civil War, and many other scenes from a now-vanished way of life. These antebellum visions take on a bittersweet cast with the author's postwar return to the region, when railroad competition has largely doomed the commercial steamboat and the old ways of life are passing into history. A testimonial to Twain's repute as the most popular humorist of his day, these reminiscences crackle with comic anecdotes and energetic witticisms. Engrossing and entertaining, this volume will captivate devotees of Twain, steamboat buffs, lovers of Americana, and students of American literature. a most touching reminiscence of the steamboat era radiating the typical American spirit and full of breathtakingly funny anecdotes, tales, private musings. A most genuine, colorful, and vivid representation of Twain behind his works.